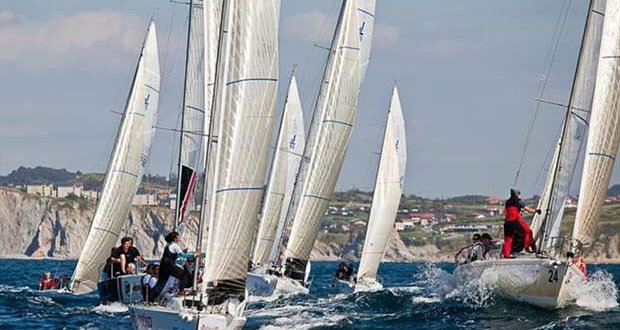 For the host nation, it will be a real fight for national honors for the top three teams from last year’s 2018 J/80 Copa de Espana that were held on the same waters. Winning that event was Ono Eurofrits-Aviko sailed by local Cantabrian Daniel de la Pedraja; the silver went to a J/80 World Champion, Bribon Movistar, sailed by Marc de Antonio Altimira; and the bronze was taken by a double J/80 World Champion, Ignacio Camino’s PAR! At the conclusion of racing, the World Championship title will be awarded along with trophies for the best Women’s team, top Youth team, top Masters, top Mixed, and the top Corinthian crews.